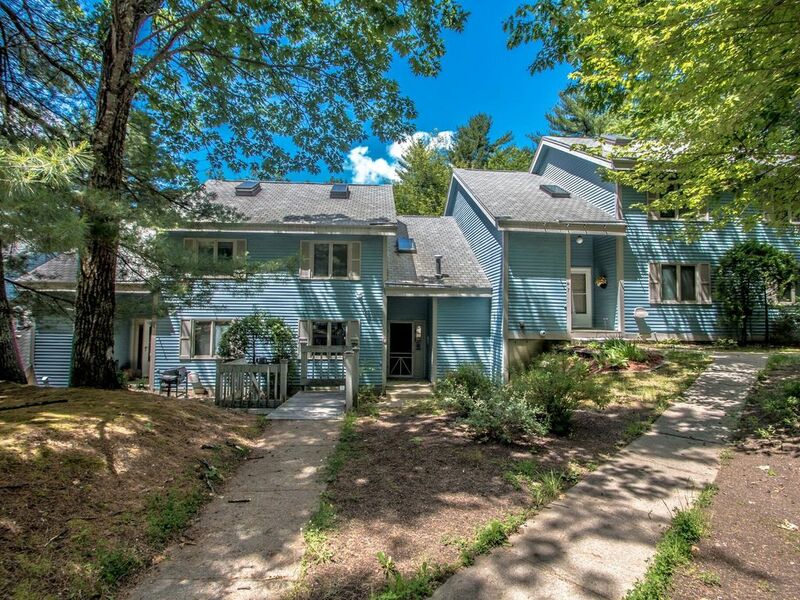 Located in the heart of North Conway this 2100+ sq ft.Condo has all the comforts of home and mountain living including Free Wifi. In the winter enjoy skiing at many of the nearby mountains like Attitash approx 9 miles, Mount Cranmore 5 miles, Wildcat and Bretton Woods are just a short drive. New Hampshire's snowmobile trail system is a stone's throw away.The summer is great for visiting Storyland which is approx 15 minutes or take a short drive to Santa's Village, Clark's Trading Post, the Polar Caves just to name a few. If you like the beach, Echo Lake, Weston's Beach and Diana's Bath are all less than 10 miles away.The Saco river provides plenty of opportunity for fishing, kayaking, canoeing, and water tubing. For the shoppers, you are less than 1 mile away from Settlers Green which offers over 75 outlet stores.There are plenty of great restaurants in the area too, or come home and snuggle up to a warm fire and a home cooked meal in the fully furnished kitchen.The vacation adventures are endless. 3 bed Townhouse style condo featuring fireplace, central air, cable television, WiFi, a fully applianced kitchen, dining room with seating for 10. Two living room areas with television/dvd/ and cable tv. Two full bathrooms. Bed linens, towels provided. Outdoor deck w/ gas grill and screened porch area, onsite seasonal pool. Just minutes to ski areas and family attractions. Location was good, but no one removed the grill from underneath the snow. While I was outside a roof shingle came sliding down and hit me in the back. There wasn't any dishwasher soap for the machine, so I had to go buy some. The basement bedroom was way to cold, and when you would raise the heat it would get to warm on the other floors. Condo was clean, close and convenient to everything so that was good. Beautiful, spacious and well maintained. 2nd year staying at the condo. Plenty of space for our hockey team to all have their own space. Kitchen is fully stocked with everything you need to cook meals in home. Great views of the mountains & plenty of parking! We discovered the board games this year and really were able to spend some quiet time. Lots of tvs, all with cable to keep everyone happy watching their favorite games! Down the street from all the shopping and fun things to check out. Hope to stay again! Enjoyed our stay immensely. It was nice to only bring clothes and food. Spacious and clean, and we left it that way. Very accessible to all the amenities in North Conway. Needed to contact the owner and he was gracious to accommodate our need. Ten adults and a child had a great time in North Conway; our first shopping trip here. We will definitely be back. The parking lot where the additional cars were to be parked was icy. Not the fault of the owner, however. Walkways were nice and clear. This was our 2nd year at this location and our 3rd year renting from Anne and Bob and we will continue to rent this place every year during the Bring A Friend shopping event at Settlers Green outlets. The place is spotless and fully equipped with everything you could need. It is big enough to accommodate large groups with enough room to spread out yet cozy too to enjoy some together time. Love love this location and can't wait to go back. Can not wait to do it again! Only negative was running out of toilet paper in the middle of the first night! We know to bring some next time.